Complete payment to sign up. *This transactions will appear at your bank statement as stream-generation.com+448001512395 ** You are getting 3 day trial membership on stream-generation.com (after the end of the aforementioned trial period, this membership will be renewed automatically every month for a price of £ 49.99 per month unless you unsubscribe). We will issue refunds after investigating on a case-by-case basis. We will take into consideration things such as other complaints received or other customers comments. If an issued refund is for a recurring billing, we will only refund the most recent payment. A refund for a recurring billing will result in an immediate cancellation of the recurring service. A refund of fees for any nonrecurring service will also result in immediate termination of access of the service. In the event that you disagree with any charge made to your account, you agree to contact us with a view to resolving the dispute prior to making a formal notification to your credit card company. You must contact us either by email, stating your reasons for dispute of the charge. 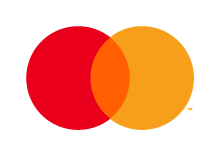 This will enable us to accurately and promptly assess your complaint and, where justified, credit your card with the disputed amount in a timely manner to avoid any further inconvenience to you. Agias Zonis & Thessalonikis, NICOLAOU PENTADROMOS CENTER, 5th floor, Flat/Office 507 A, BLOCK A, 3026, Limassol, Cyprus. Registered under ΗΕ 388051. Tax identification No. : 10388051W.